As a follow-up to our spacey sci-fi themed home design post, we’re going to explore some high-fantasy and high-imagination options that you, too, could incorporate when you’re building a home. It’s easy to fall in love with the old-world, earthy charm of Bilbo Baggins’ hobbit hole. While iconic in fantasy world-building, you don’t see them replicated in real life very often. According to the U.S. Census and HUD, around 1.3 million new homes were completed as of February 2018. How many of those do you think were hobbit-holes? Not many. The extra-magical part? 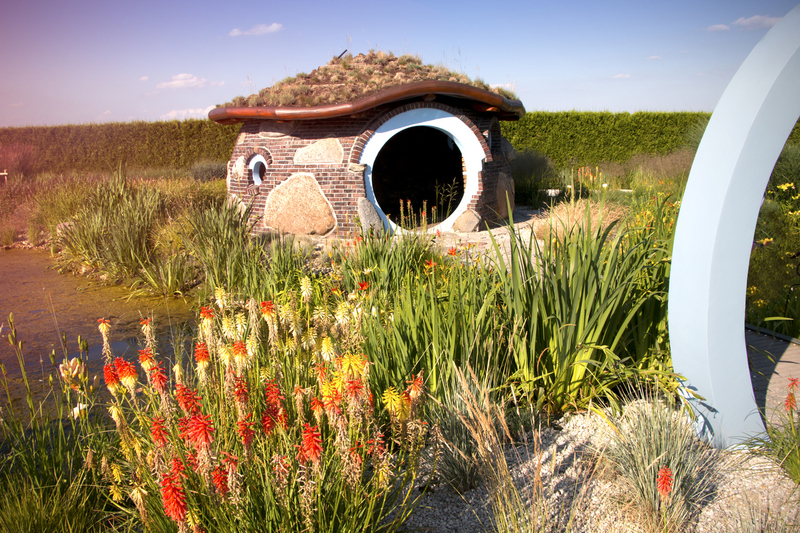 The usual design and building method of hobbit-holes in real life is actually fairly inexpensive and eco-friendly, using pre-fabricated walls reinforced by soil. Finding suitable land and manufacturing the perfect rolling hills to house your hobbit-hole hall will be the real challenge. Truly a luxury home for lovers of nature and cozy rustic touches. Who hasn’t fantasized about living in a castle? Stone homes are sturdy and beautiful and have that extra-majestic mood to them. You can easily combine ancient styles of turrets with modern elements like stainless steel kitchens and tech-laden man caves when building a home from scratch out of stone. Typically a castle-inspired home may shirk modern design preferences like open floor plans, and even lean towards full-on medieval inspired interior design. But remember, when you’re completing a custom home design, you can easily make a rustic exterior hide an ultra-modern, chic interior with the help of an ambitious designer. Is quality over quantity your style? Do sweet details and bright colors speak to your aesthetic? Consider investing in a custom home design centering on the idea of a candy-bright fairytale cottage, like a scaled-down Victorian painted lady. Keep the materials high-quality wood and stone, and consider ordering custom cut and carved pieces for that extra special fairytale flair. Allow for extensive work on the landscaping. The natural pairing for a gingerbread house? A beautiful, immaculately styled garden, of course. Good luck on planning your fairy-tale hideaway!